august 12: where the hurts is is most-downloaded title on amazon! august 23: where the hurt is rises to #25 on Amazon's historical mystery best seller list! now available in trade paperback from amazon, barnes & noble, and black rose writing! It’s a hotter-than-usual April night in 1965. The social revolutions rocking America have mostly bypassed Burr, a tiny rural community in western Oklahoma. Like much of the state, Burr remains as it’s always been: Religious. Conservative. And 100% white. When an unknown young African-American woman is found murdered on the railroad tracks outside town, most of Burr would rather look the other way. The town’s police chief, troubled local hero and ex-Marine Emmett Hardy, doesn’t have that luxury. A lover of books and jazz in the land of football and country & western, Emmett is an outsider in a place he knows like the back of his hand. In his search for the killer, he’s forced to slice through layers of hate and hypocrisy to confront the ethical rot at the town’s core, while being haunted by the vision of a life that might have been. New York Times bestselling author Anne Hillerman (Spider Woman's Daughter, Cave of Bones) calls ​​Where the Hurt Is, "Poignant and funny, studded with characters who haunt your imagination long after you've read the final page .... Chief Emmett Hardy emerges as a complicated, passionate, and flawed lawman in the spirit of Joe Leaphorn and Walt Longmire .... The rich, evocative setting captures the best and worst of small-town, post-Dust Bowl Oklahoma. 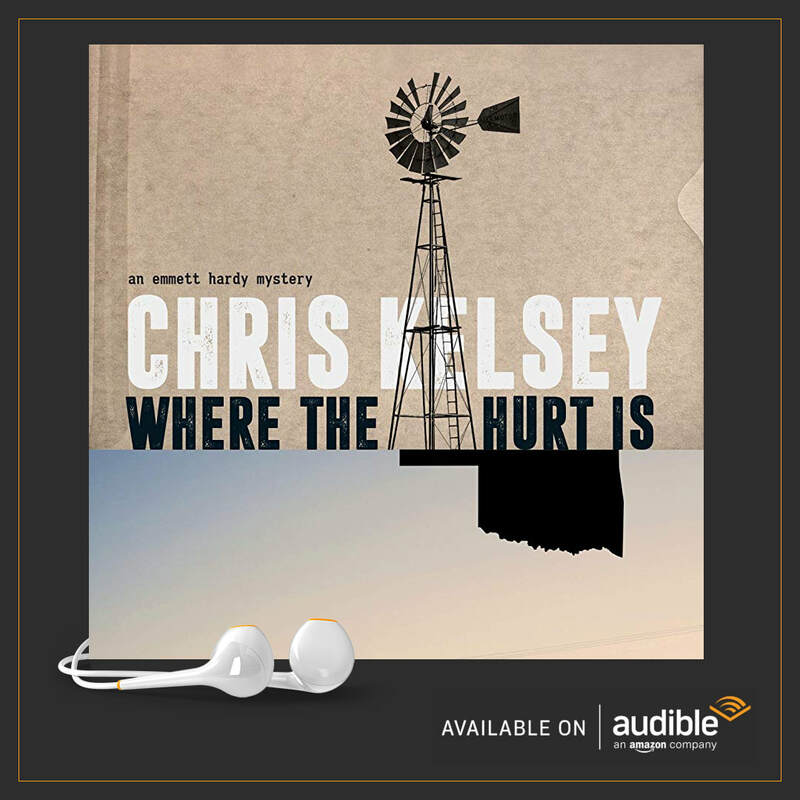 The story grabs you simultaneously by both the head and heart, until, at the end, you're left wondering how author Chris Kelsey managed to tell such a fine tale and what he'll dream up next." Bestselling Author Julie Holland (Weekends at Bellevue) calls it "an entertaining and engaging taste of small-town life in the '60s under LBJ ... Where the Hurt Is, with its consistently clever metaphors and descriptions, will inevitably put a smile on your face. Kelsey is smart, concise, and funny, and he makes Chief Emmett Hardy a loveable character you’ll want to follow forever. I hope this is the first in a series!" Avant Scena Contemporary Music Blog says about CKQuintet: "The music by these creative and great jazz musicians is very dynamic and expressive ... twisting together various playing styles and playing techniques. Five musicians had been playing with each other many times ... they have individual playing manners and unique sounds, all the musical material is gently fused together in one place. Outstanding and impressive solos, passionate and vivacious improvisations, rigorous, loud and powerful blow outs, dynamic rhythmic and synthesis with various music styles .... The music by these great jazz masters is based on avant-garde and experimental jazz, free improvisation, bebop, post-bop, neo-bop and other contemporary and modern jazz styles intonations. Their music always has expressive and extraordinary sound."